Distributed Spaces draws on the British Marxist historian E.P. Thompson’s challenge to the hegemony of institutional knowledge production. 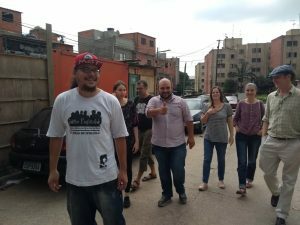 In this regard, knowledge is counterposed – understood as decentralised and taken in its dynamic ‘lived’ form, dispersed on the streets and in the favelas and occupied houses of Sao Paulo and elsewhere. With an onus on autonomy and self-representation, each distributed ‘space’ offers up its own respective history (e.g. social struggle, cultural production, educational programmes) with a view to sharing resources and know-how. 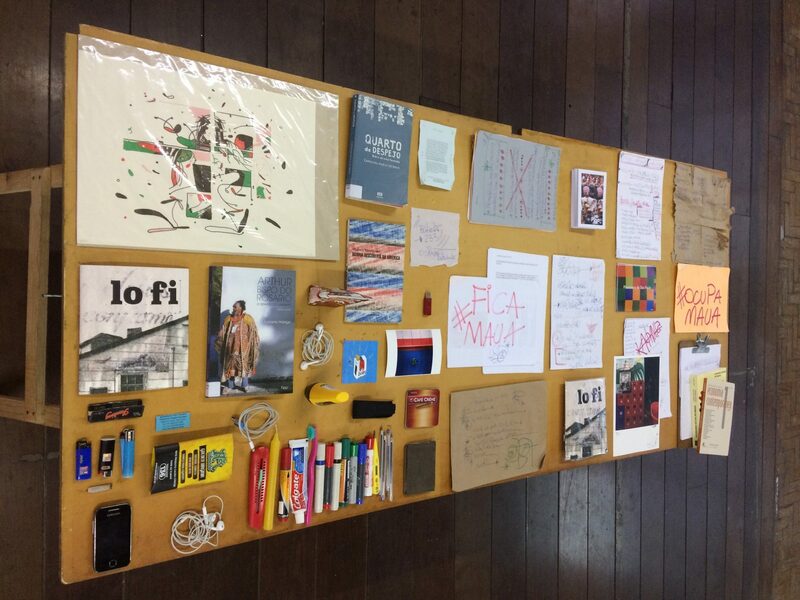 The spaces listed here came together in Sao Paulo, Brazil in December 2018 with these core principals in mind. 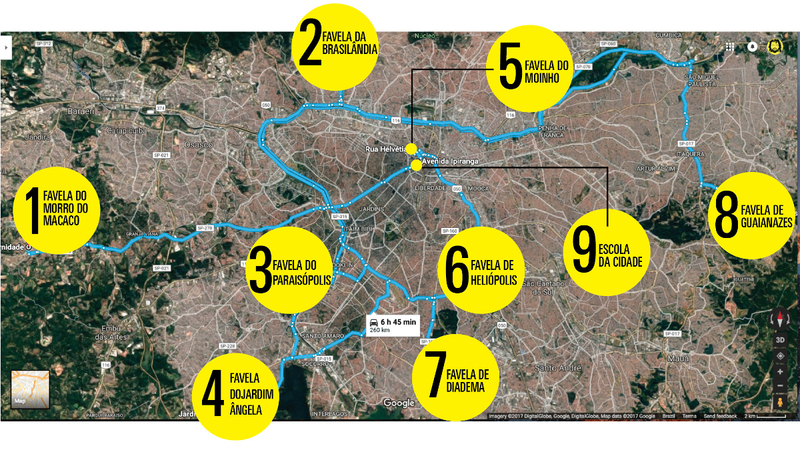 On arrival in Sao Paulo the visiting group from London, prepared for an eight day relay around the city and suburbs. 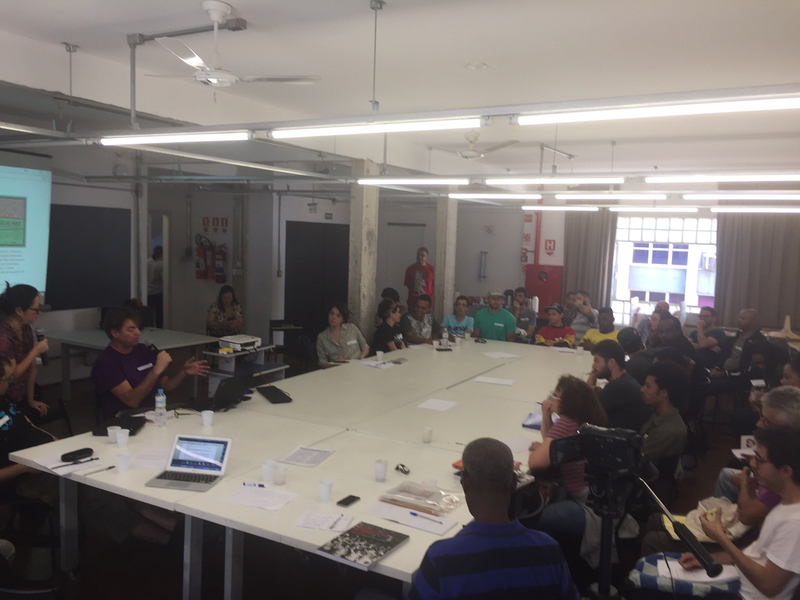 As introduction, they attended a first time gathering for Favela and Occupied Housing representatives to share information about each others networks and neighbourhoods. This list below tracks the distribution of customised Reverso Mazi toolkits following daily workshops in the respective social centres. Pi, solarPV/battery, micro USB cables, wlan USB, 5v – 3.1amp USB charger. Research initiative focussed on union histories and workers struggle. Pi, solarPV, USB battery, micro US cables, wlan USB, 5v. Pi, solarPV, USB battery, micro US cables, wlan USB, 5v – 3.1amp USB charger. Pi, micro US cables, wlan USB, 5v – 3.1amp USB charger. A mutual commitment to build on trust and progress has been made to keep in touch and continue the collaborations and exchanges.